Just came across this tweet: Zhang Yimou’s The Flowers of War is nominated for best foreign language film at the Golden Globe. 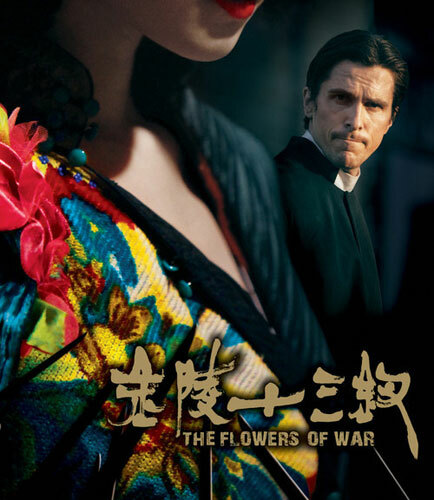 The Flowers of War is about a foreigner played by Christian Bale who poses as a priest to protect a group of schoolgirls and prostitutes in 1937 in Nanjing during the Japanese occupation. Xinhua reports about the movie here. A trivia: Steven Spielberg had a hand in having Bale cast in the movie. Zhang has asked him to read the script and recommend actors. He recommended Bale, who was in Spielberg’s Empire of the Sun (1987). Story here. Watching the trailer, it reminds me of Schindler’s List. Many have also asked Zhang if he made the film with the Oscars in mind. True or not, he is one step away from an Oscar nomination.